The bulk of the present book has not been published previously though Chapters II and IV are based in part on two earlier papers of mine: "The Influence of Harald H!1lffding's Philosophy on Niels Bohr's Interpretation of Quantum Mechanics", which appeared in Danish Yearbook of Philosophy, 1979, and "The Bohr-H!1lffding Relationship Reconsidered", published in Studies in History and Philosophy of Science, 1988. These two papers comple- ment each other, and in order to give the whole issue a more extended treatment I have sought, in the present volume by drawing on relevant historical material, to substantiate the claim that H!1lffding was Bohr's mentor. 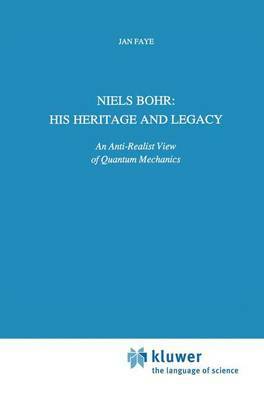 Besides containing a detailed account of Bohr's philosophy, the book, at the same time, serves the purpose of making H!1lffding' s ideas and historical significance better known to a non-Danish readership. During my work on this book I have consulted the Royal Danish Library; the National Archive of Denmark and the Niels Bohr Archive, Copenhagen, in search of relevant material. I am grateful for permission to use and quote material from these sources. Likewise, I am indebted to colleagues and friends for commenting upon the manuscript: I am especially grateful to Professor Henry Folse for our many discussions during my visit to New Orleans in November-December 1988 and again here in Elsinore in July 1990.